Abstract: The 5th anniversary of the company RP Photonics Consulting GmbH calls for a short review of the activities and what has been reached. In these days, RP Photonics Consulting GmbH celebrates the 5th anniversary of its start. The company was founded in late May 2004. Since that time, the visibility and turnover exhibited steady and strong growth, and RP Photonics has become a well established enterprise. Its standing is unusually strong for a small and relatively young company. One of the most important factors behind that success is the unusual marketing concept, which is based not on regularly firing the usual advertising fireworks (such as bombarding all exhibitors of some trade show with unwanted e-mails, telephone calls and faxes), but rather on providing substantial and long-lasting benefits to many. This applies not only to some group of customers, but to the worldwide community of photonics research and development. 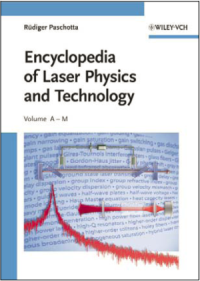 The key element is the Encyclopedia of Laser Physics and Technology, which has grown to a huge open-access resource of high-quality information on laser technology and other subjects of photonics. This helped to convince many that there is not only a huge technical and scientific know-how available, but also the ability to communicate clearly and to focus on vital issues rather than getting lost in esoteric fringe issues. Also, it demonstrates the orientation toward long-term benefits for everybody and thus the sincerity of the general approach. Marketing is not everything, though. RP Photonics does not only steadily attract more customers, but also maintains its reputation with a consistent practice of reliability, quality, efficiency and customer orientation. Customers are extremely pleased, for example, to obtain competent and very helpful advice quickly and without doing any painfully complicated paperwork beforehand. Optimization of various kinds of laser sources, preferably starting in the early stages with feasibility studies and technology reviews, most often with design work and also with problem solving for already existing hardware. Advice for laser applications, for example concerning the best suited laser type (e.g. bulk laser or fiber laser?). Simulation software, particularly for Q-switched lasers and fiber lasers and amplifiers, used both in industry and scientific research. Continuing education in the form of specialized training courses, both in the form of publicly announced courses (normally associated with major scientific and technical conferences) and with tailored courses on a customer's premises. The technical areas, customer groups and customer locations are similarly diverse. Customers are companies of all sizes (more frequently medium and small companies), in a few cases research institutes, mostly spread over whole Europe and the U.S. The activities are also spread over many areas and industrial sectors. Obviously, this high level of diversity is particularly helpful in an economic crisis as we experience it in these days. RP Photonics is not dependent on any particular industrial sector or even a particular company. For the following years, no substantial changes are to be expected. As its main priority, RP Photonics will work hard to preserve its excellent reputation and the unusually high level of customer satisfaction. No short-term incentive could be strong enough to sacrifice even a tiny bit of this value. Sustainability is the key for long-term survival, not a luxury item for good times and certainly not just a currently popular buzzword.